书籍简介: The tools needed to make a better, more informed decision. Decision analysis (DA) is the logic of making a decision using quantitative models of the decider’s factual and value judgments. DA is already widely used in business, government, medicine, economics, law, and science. However, most resources present only the logic and models rather than demonstrating how these methods can be effectively applied to the real world. 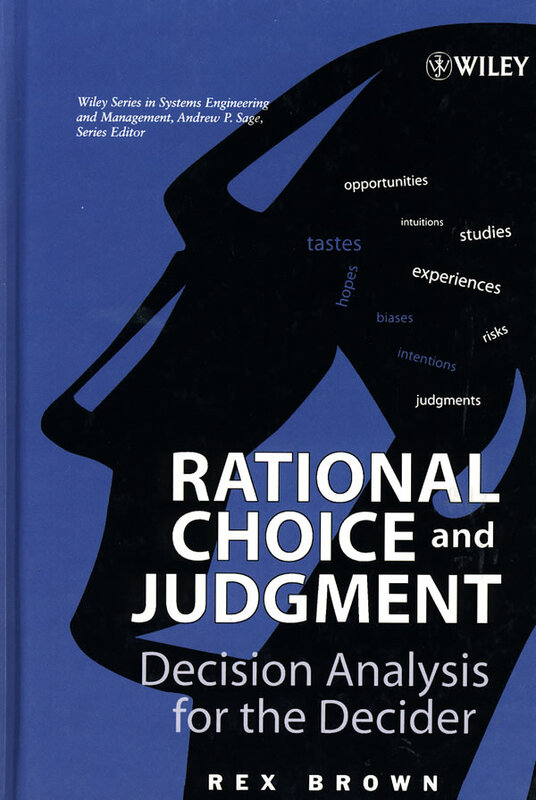 This book offers an innovative approach to decision analysis by focusing on decision-making tools that can be utilized immediately to make better, more informed decisions. It uses no mathematics beyond arithmetic. Examining how deciders think about their choices, this book provides problem-solving techniques that not only reflect sound modeling but also meet other essential requirements: they build on the thinking and knowledge that deciders already possess; they provide knowledge in a form that people are able and willing to provide; they produce results that the decider can use; and they are based on intimate and continuous interactions with the decider. The methods outlined in this text take into account such factors as the use, the user, the organization, available data, and subjective knowledge. Replete with exercises, case studies, and observations from the author’s own extensive consulting experience, the book quickly engages readers and enables them to master decision analysis by doing rather than by simply reading. Using familiar situations, it demonstrates how to handle knowledge as it unfolds in the real world. A term project is presented in the final chapter, in which readers can select an actual decision-making problem and apply their newfound tools to prepare a recommendation. A sample report is provided in the appendix. The book’s broad applicability makes it an excellent resource for any organization or as a textbook for decision-making courses in a variety of fields, including public policy, business management, systems engineering and general education. An Instructor's Manual presenting detailed solutions to all the problems in the book is available from the Wiley editorial department (email ialine@wiley.com) or directly from rexvbrown@aol.com. This book deals with logical methods for the improvement of decision making in public and private enterprises. It promotes the development and use of logical methods for the improvement of decision-making in public and private enterprise. Such methods include models for decision-making under conditions of uncertainty or multiple objectives; techniques of risk analysis and risk assessment; experimental and descriptive studies of decision-making behavior; economic analysis of competitive and strategic decisions; and techniques for facilitating decision-making by groups.